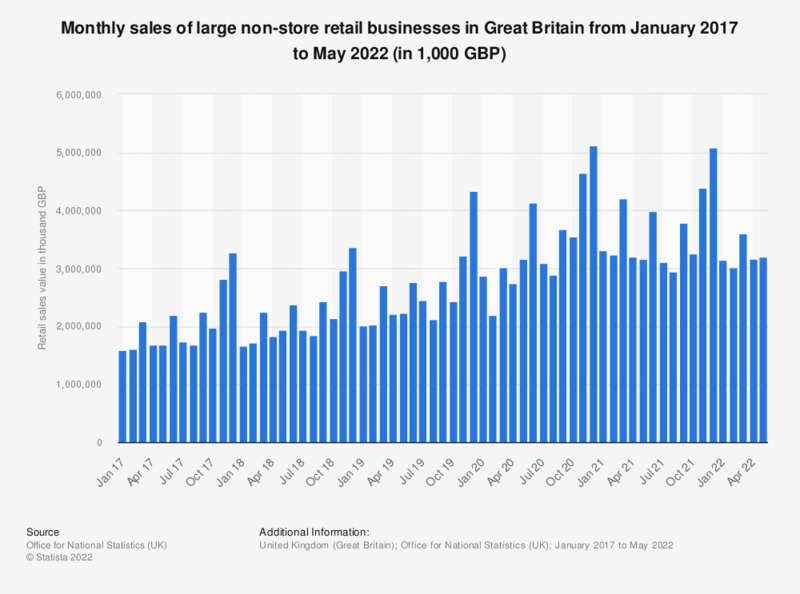 This statistic displays the monthly sales value of large non-store retail businesses in Great Britain monthly from February 2016 to August 2018. The amount spent via non-store retailing channels, such as mail order houses, reached approximately 1.86 billion British pounds in August 2018. Value sales (amount spent), non-seasonally adjusted. Includes automotive fuel. Large businesses are defined by the source as "large retailers employing 100 people or more and those with annual turnover of greater than 60 million GBP who employ 10 to 99 people." Statistics on "Retail brands: Macy's"